For many years, since at least 2002, I have been using Olive Tree’s Bible Reader software on my Palm handheld devices (four different generations of them to date). I love the fact that wherever I am I always have my bible, reference library, daily readers, and dictionaries right at my fingertips. If I’m waiting for an appointment, just pull out my Palm device and start reading God’s word! I highly recommend this FREE software. It isn’t just for Palm. There are versions for: Android, iPhone, Palm, Blackberry, Windows Mobile, Symbian, and even Java based phones. Olive Tree has extensive libraries of free and paid content for the Bible Reader software. Really it should be called an e-Reader since there is an enormous quantity of content besides just the Bible available for this software. Try it, you’ll be hooked. …a guide to understanding Christian manhood and Christian men, offers a refreshing break from the chorus of voices urging men to be more responsible, reliable, dutiful … and dead. God designed men to be dangerous, says Eldredge. Simply look at the dreams and desires written in every boy’s heart: to be a hero, to be a warrior, to live a life of adventure and risk. Sadly, most men abandon those dreams and desires—aided by a Christianity that feels like nothing more than pressure to be a “nice guy.” It’s no wonder that many men avoid church, and those who go are often passive and bored to death. In this provocative book, Eldredge gives women a look inside the true heart of a man and gives men permission to be what God designed them to be—dangerous, passionate, alive, and free. This book is written in English. 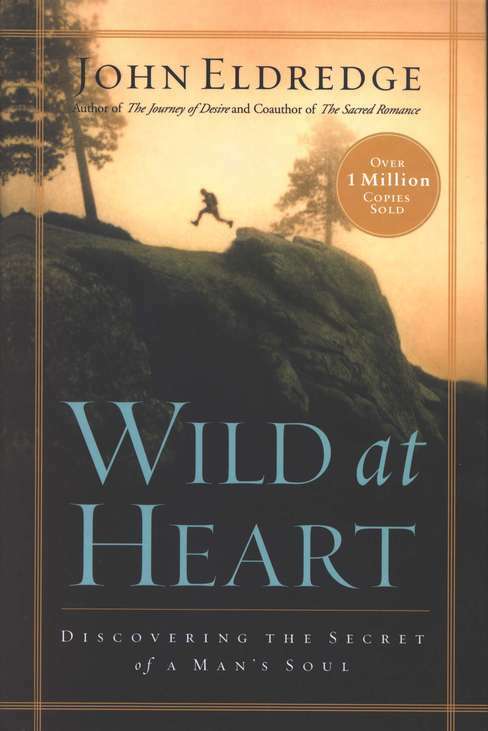 Since I have relatives and friends all over the world, I’ve recently started looking for translations of Wild at Heart in other languages. The most difficult part is finding the book’s name or title in the foreign language. Once that is known, locating copies is usually not too hard. I’ve found so many now that I’ve given that topic its own page. Click here or select the Wild at Heart tab at the top of the page to see the various translations I’ve located. Included on that page are links to where I found the books.